Haoqi Zhang's Agile Research Studios is churning out the next generation of research superstars. In just the past three years, Professor Haoqi Zhang’s students snagged top prizes in three major computer science student research competitions. They claimed 29 undergraduate research grants and earned more than $30,000 in outside funding for their projects. And nine student teams published full papers and extended abstracts at premier peer-reviewed conferences. 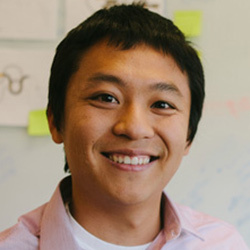 That process is Agile Research Studios, a community-based research training system that Zhang developed over several years and, in 2015, implemented into the Design, Technology, and Research program that he co-leads with Professor Eleanor O’Rourke. Agile Research Studios is a computational ecosystem in which the research process, social structures, and tools work together to support community members learning how to conduct self-directed research. The inspiration behind Agile Research Studios is simple: faculty members are overtaxed. To develop into dynamic thinkers and problem solvers, students need the quality mentoring and sustained training that faculty members are often unable to provide one-on-one. Zhang removed the one-on-one aspect of mentoring and replaced it with a robust network of faculty, student peers, and graduate students. Agile Research Studios makes research goals more attainable by breaking down long-term projects into manageable two-week-long design sprints. During these sprints, students plan and complete specific, smaller goals that deliver value to the project. The process encourages students to dive into their research by building simple prototypes, running tests, making measurements, and reflecting. At first, their experiments might be low fidelity, but prototypes and tests increase in sophistication as the students learn and develop their skills. In all projects, researchers will eventually hit an impasse. This is where the community comes into play. Agile Research Studios’ social structure facilitates help-seeking and collaboration to promote learning and progress. In virtual and in-person meetings, mentors and peers help students think through problems and strategize ways to overcome them. One way students find help is through Pair Research, an online platform that simplifies the process of asking for and receiving help. Students can visit the online platform, describe the task they need help with, and estimate how much time is needed to accomplish the task. For example, the student might need someone to proofread a paper, test computer code, or provide motivation to stop procrastination. Other users then respond to the request, rating their ability to help with the task on a scale of one to five. A matching algorithm then recommends the most optimal pairings for collaboration, informal learning, and productivity. Agile Research Studios’ results speak for themselves. Most recently, junior Sarah Lim took first place at the Association for Computing Machinery Computer-Human Interaction Student Research Competition in spring 2017 for her system that inspects web pages to find specific snippets of source code. This allows users to search for relevant code for their own pages without sifting through volumes of complex HTML hierarchies. While Agile Research Studios enables students to blossom into independent thinkers and researchers, it also helps grow their confidence. Throughout the course of the program, students become more autonomous and self-directed. Zhang is continually amazed by the personal growth he witnesses in students from the start to the end of the program.